Explore the floor plans of our Nashville, TN, apartments to find the one that’s meant for you. 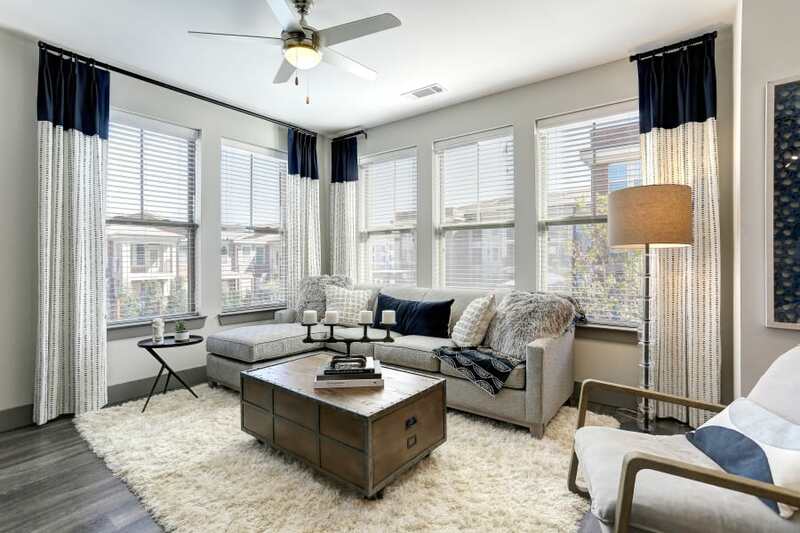 Pick from one, two, and three bedroom floor plans in a variety of layouts at Novel Bellevue. Our one bedroom apartments run from 611 to 902 square feet, offering you plenty of space to make your own. In need of a two bedroom home? Select from floor plans ranging from 1,088 to 1,310 square feet. For even more space, choose a three bedroom floor plan with 1,478 square feet to spread out in. Whichever layout feels most like home, know your new apartment will have all the chic and convenient features you love, like vaulted ceilings, wood-style floors, and soundproof walls to give you the peace and privacy you want. Rich textures and materials meet well-thought-out design at Novel Bellevue. Our apartments show you luxury and convenience can go hand in hand. Spacious floor plans give you the opportunity to bring in the pieces that add your personal touch. An oversized kitchen offers the perfect backdrop for entertaining. Features included in every apartment home make your daily routine simpler, like a Nest thermostat that’s ready to learn your preferences, an in-home washer and dryer to speed up laundry, and roomy walk-in closets to help you stay organized. Want to learn more? Contact our team to schedule a personal tour.